Most people appreciate the advantages of an efficient routine and having things go according to plan. But some of us get highly stressed, upset, or angry when life takes an unexpected turn – whether it’s an accident on your way to work or something as minor as your kids leaving a big mess in the kitchen. Yes, some of us are “control freaks” who have rigid standards and don’t adapt well to change. You want things to be predictable and stick to a routine. You’re highly organized and like systems. You want things done a specific way. You get stuck in all-or-nothing thinking; you only see one right way to do something or one way to be successful. You catastrophize or imagine the worst will happen if things don’t go the way you want/expect. You have extremely high standards for yourself and others. You can be demanding and critical. You’d rather do it yourself than delegate. People often let you down. You give unsolicited advice because you think you know what others should do. You might be described as Type-A, tightly wound, or anxious. Certainly, some of these traits and behaviors can be advantageous at times. But if you’re overly controlling, these types of behaviors will cause you more problems than they solve. Our need to feel in control is driven by fear. Most people feel scared or anxious when they think about all the things that are out of their control — and all the things that can go wrong, the bad things that can happen to themselves or their loved ones. This is especially true if you grew up in a chaotic family where things were unpredictable, you had to walk on eggshells, and you were often afraid. When you’re a child you have very little control over your life, so you may overcompensate by tightly controlling your own behavior or appearance (such as adhering to a strict diet or rigid routine) or bossing around younger siblings. Control and certainty give us a sense of security and safety. So, it’s only natural to want to control things (and people) with the idea that if we can control them, we’ll be safe (and happy or successful). 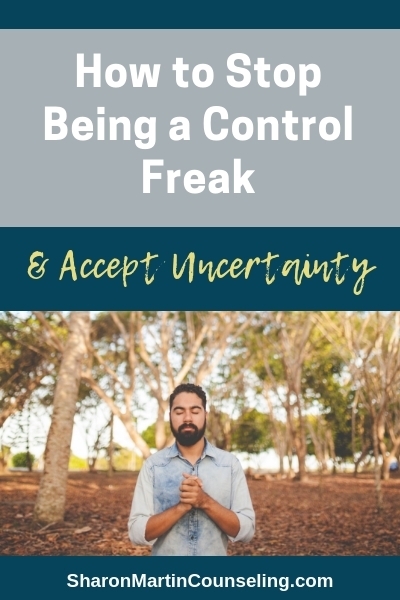 Trying to control things – being rigid, demanding, and perfectionistic – become our ways of coping with fear and anxiety. The problem is that we can’t control the majority of things in life and trying to control them doesn’t necessarily make our lives better. 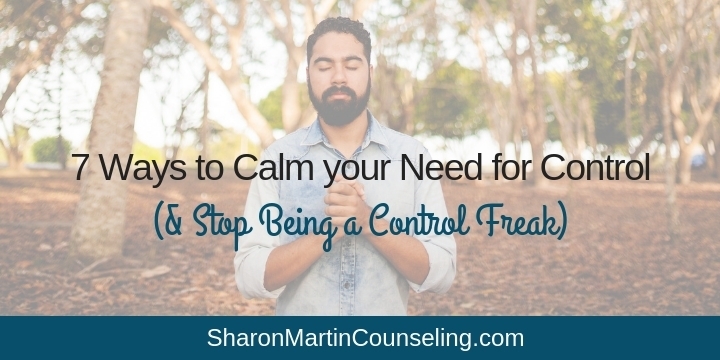 As you know, being controlling can create a host of new problems such as stress and strained relationships. What’s wrong with wanting to control things? So, if control and certainty make us feel safe, what’s wrong with trying to control things? Well, the problem is it’s not possible. Most things are outside of your control and trying to bend them to your will only create more resistance, stress, and conflict. 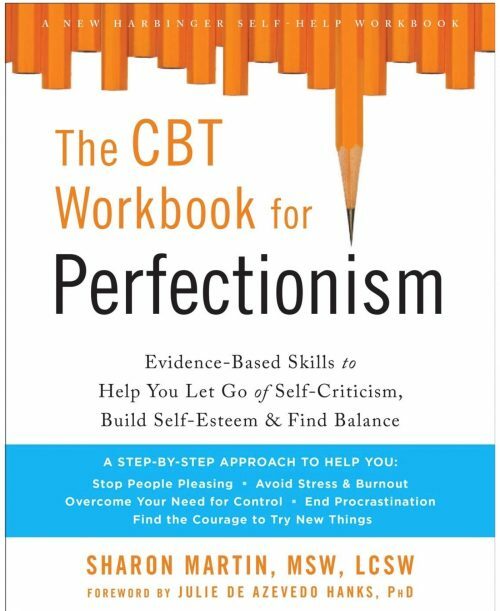 Relentlessly demanding perfection from yourself increases physical and emotional stress. For example, you might experience common symptoms of stress such as headaches or gastrointestinal problems, neck or back pain, trouble sleeping, low energy, procrastination and feeling unmotivated, irritability or anger, feeling down or depressed, or constant worry. As you can imagine, these kinds of stress take a toll on your body, mind, and spirit and make it difficult to live your life to the fullest. When we’re controlling, our relationships also suffer. We can be difficult to be around – bossy, critical, and judgmental of others. Arguments, emotional distance, and hurt feelings usually result. Gain awareness. To begin, you’ll want to notice your controlling behaviors and write them down. 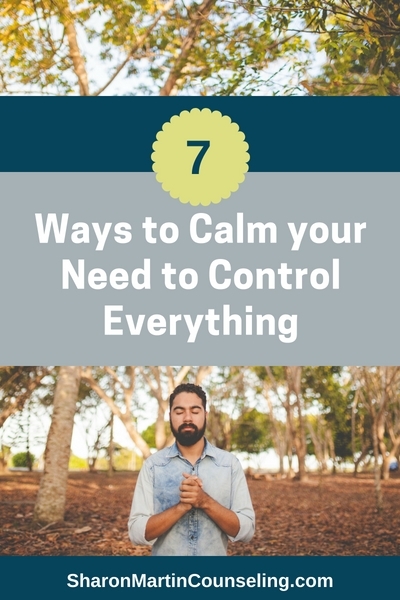 This will help you anticipate situations where your inner control freak is likely to surface and you can plan an alternate response. Is it helpful to think this way? Am I focusing on the negatives and discounting the positives? Are my emotions clouding my thoughts? Questions such as these can help you expand your thoughts and see that leaving late might throw off your plans, but it won’t necessarily ruin your entire vacation. Accept what’s out of your control. Intellectually we all know that we can only control ourselves and yet we persist in trying to get our spouse and kids to do things the “right” way or to make the right choices. Acceptance means that we distinguish what’s in our control and what’s not and stop giving unwanted advice and pushing situations to be something they aren’t. Instead, we can surrender to what’s out of our control and allow things to be as they are without forcing them to change to our will. In codependency recovery, we call this detaching with love. It means we stop trying to control the outcome and allow people to make their own choices (even when we disagree). Embrace imperfection in yourself and others. Part of acceptance is acknowledging that none of us are perfect – we make mistakes, forget things, make poor decisions, and so on. We need to expect and accept that sometimes goals aren’t met, plans fall through, people disappoint us, and accidents happen. Trying to micromanage people and situations isn’t going to prevent these kinds of things from happening. Instead, it tends to push people away. Reduce stress and anxiety. The notion of sitting with uncertainty encompasses the ideas of acceptance and surrender in a Zen-type way. It means you can tolerate not knowing what’s going to happen and you’re not trying to control it. In order to attain this kind of peace of mind, you need to practice quieting your mind and body, perhaps with meditation, exercise, a relaxing massage or soothing ritual. Not all unexpected change is bad. Our catastrophic thinking leads us to assume that all unexpected change is bad, but this is false. Being called in for a meeting with your boss doesn’t mean you’re in trouble; it could be to praise your work or offer you a new opportunity. And if your date cancels dinner plans, it doesn’t mean the relationship is doomed; you might have an even better date next week. Try to stay open to the possibility that unexpected change can be positive – even if it doesn’t feel that way when it first happens. When I feel like life is railing out of control, I find comfort in the Serenity Prayer. It sums up our struggle for control beautifully. Most importantly, I hope you’ll remember that you’re capable of handling whatever life throws at you. When the unexpected happens, you can still control your response and learn to cope more effectively. If you’re struggling with anxiety, perfectionism, and the need to control things, please contact me about therapy in my San Jose area office (in Campbell, just off Highway 17) or use the button below to schedule a session. ©2018 Sharon Martin, LCSW. All rights reserved. 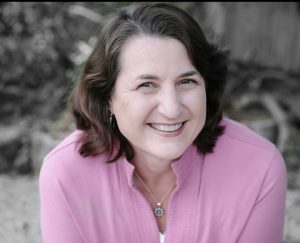 Originally published on PsychCentral.com.